Pune-based smart wheelchair maker Arcatron Mobility Pvt. Ltd has raised an undisclosed amount in funding from Indian Angel Network (IAN). The funding was led by Sudhir Mehta, Harish Mehta and Ketan Dalal, IAN said in a statement. Arcatron will use the funds for launching Frido, its portable wheelchair that can be folded into a suitcase. Besides, the firm will use the funds to set up online and offline sales channels across major cities in India. Frido is a multipurpose wheelchair that can be used as a travel companion. 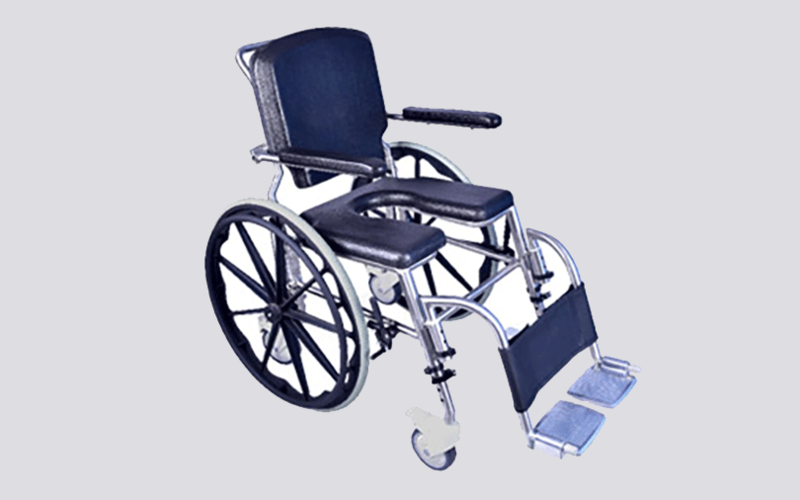 It has a stainless steel body, armrests, height adjustable footrests and big wheels, according to the firm’s website. “Arcatron is doing a tremendous job in simplifying and improving lives of elderly and locomotor-impaired individuals, enabling them to lead active lifestyles,” said IAN’s Sudhir Mehta who was the lead investor in the latest funding round. In March last year, Mehta invested an undisclosed amount in a seed funding round in Arcatron, along with angel investor Anoop Hingorani. Subsequently, in May last year, Arcatron raised another $100,000 (around Rs 64.5 lakh) from Mehta and Vaibhav Kulkarni, CEO of Pune-based e-prescription startup Anandakanda. Founded in June 2015 by NIT Calicut alumni Laxmikant Banjarey, Kunal Kamble, Ganesh Sonawane and Dewaj Baruah, Arcatron designs and develops mobility products for assisted living for the elderly and those who cannot walk. The firm has already rolled out two wheelchairs—Arcatron SAS100 and Arcatron SSS100. “We are also working on developing products like Frido Lite, which has the potential to replace most wheelchairs used by elderly individuals, tourism companies and hospitals. Currently, no product allows people with limited mobility to safely access bathrooms at their homes and on the go—Frido will help solve this problem,” said Ganesh Sonawane, CEO of Arcatron Mobility. The company has also entered into a manufacturing partnership with Mehta-owned Pinnacle Industries, which is into commercial vehicles and interiors. According to Sonawane, the partnership allows Arcatron to stay asset light and focus on R&D, marketing and sales. According to Arcatron, the global bathroom-assist devices market is worth $4 billion (Rs 25, 814 crore) while the Indian market is worth Rs 440 crore ($68 million). However, currently the space is dominated by Chinese products. In an interaction with VCCircle last year, Sonawane said India has the second-largest population of elderly citizens at 110 million. This number is expected to reach 158.7 million by 2025 and surpass the population of children below 14 years by 2050.